Martin Stepek has taught mindfulness to primary one pupils up to post-graduate university students. He has taught adults from different levels in life and at different ages. Amongst them inmates in Scottish prisons. People whose life and path might have been very different had their 12 years of compulsory education, included mindfulness practice to nurture the positive mental qualities of life, like tolerance, non-judgemental, non-prejudicial thinking, an appreciation of all things in nature, a love of all life, and a joy of being alive. As well as the core mental disciplines of clarity of thought, calmness in all situations, concentration on what I want to do, and compassion for those who suffer. In some respects we could argue that the recent upsurge in interest in mindfulness has come rather late in the day for most of us. It is a skill whose sole purpose is to help us be better aware of each moment, and through getting better at this, we see our poor judgements, hasty reactions, harshness, and allow these to fall away before they explode out of our minds and cause unpleasant effects all around us, as well as inside us. So when I came across mindfulness at the age of thirty-nine, some twenty years ago, I had by then already accumulated almost four decades of mental habits, traits, prejudices, and egotistical viewpoints. So in the past twenty years I’ve used my practice of mindfulness as diligently as I can, for the most part, dealing with the junk and nasty mental traits that I spent the first forty years developing. Of course I didn’t deliberately or even consciously develop these unhealthy habits of mind. They emerged and grew in me through the combination of the genes I inherited from my ancestors, and all the life experiences that happened to me, most of which I had little or no control over. As far as my own life is concerned therefore, I have spent four decades accumulating unhealthy ways of thinking and reacting – and hopefully some pleasant ones too – only to spend the following two decades trying to neutralise and undo these. Wouldn’t it have been so much better for me and those I come into contact with, if I had been practicing mindfulness from my early youth? Had that been the case two great benefits would have accrued to me. Firstly I would not have soaked in anything like as many negative mental ways of thinking as I did, because my mindfulness practice would have helped me notice these as they started to arise in my childhood, and I would have learned how to let them go, and stopped them becoming embedded in my mindset. Secondly I would therefore had much more free time in my mindfulness practice to nurture the positive mental qualities of life, including tolerance, non-judgemental, non-prejudicial thinking, an appreciation of all things in nature, a love of all life, and a joy of being alive, as well as the core mental disciplines of clarity of thought, calmness in all situations, concentration on what I want to do, and compassion for those who suffer. I don’t regret not having had this alternative past. Mindfulness quickly lets us see that regret is a waste of time. However my life has taught me that others would benefit immensely if they started to learn mindfulness at as early an age as possible. I have taught mindfulness to inmates in several prisons – including Barlinnie, Greenock and Dumfries prisons in a five day spell last week. Nearly everyone in jail has experienced severe and complex upbringings, and a high percentage had mental health issues before they even committed their first criminal offence. Being imprisoned itself exacerbates the mental turmoil, anger and despair of those in jail. From a mindfulness point of view, where the aim is to help people liberate themselves from their own worst accumulated mental traits, this makes the job much harder. But these prisoners were once little children. They went to school. They went to school for twelve years, and in those twelve years, because of the ongoing destructive mental conditioning going on in their lives at home or in care, they got worse mentally rather than better, despite the best efforts of teachers and other professionals. This is an extreme version of how we all develop mental traits, some bad, some good. I’d argue that if all of us had been given skilled, sympathetic mindfulness training in each of years at school our mental lives would have been transformed for the better, and each of us would be much happier, more productive, and more compassionate and kind than we currently are. This would be good for us as individuals, as members of our families, as friends, as communities, and ultimately as societies, including in such seemingly unconnected areas as economic development, entrepreneurship and scientific research. I have had the privilege of teaching mindfulness to all levels in the education system, from primary one pupils to post-graduate university students. The youngest children don’t need to be taught in a radically different way to the adults. Kids get mindfulness. Most of them immediately appreciate the positive experience of silence. They know their emotions pretty well by the age of four, and once explained, are fascinated by how these arise, how we get them, and the fact that we can learn how to deal with them moment by moment. It doesn’t in any way take away from their necessary sense of fun and play, rather it adds to these, heightens the joy of games and friendship. Many school teachers are now qualified to guide people in mindfulness, and many head teachers are hugely enthusiastic about bringing it in more and more to class settings. Imagine how expert a child would be if they were wisely and skilfully taught to really understand and master their own evolving mental traits. Imagine how, after seven years of primary education involving mindfulness day by day, these children go to the big world of secondary school, and the onset of adolescence. How much better would they handle these two pivotal developmental stages in their lives. "But these prisoners were once little children. They went to school. They went to school for twelve years, and in those twelve years, because of the ongoing destructive mental conditioning going on in their lives at home or in care, they got worse mentally rather than better, despite the best efforts of teachers and other professionals". 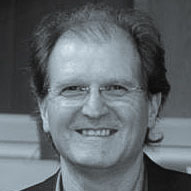 Martin Stepek is a member of the JONAA team in Scotland. A Scot with Polish heritage, a Mindfulness teacher, poet, published author, columnist on Mindfulness in the Sunday Herald and Chief Executive of the Scottish Family Business Association.